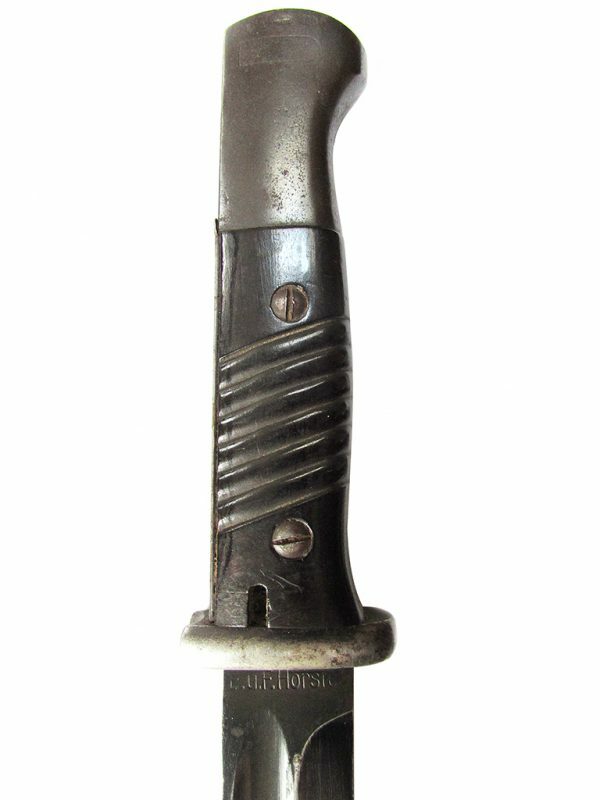 A fine very early G coded bayonet manufactured by Hörster in 1935. 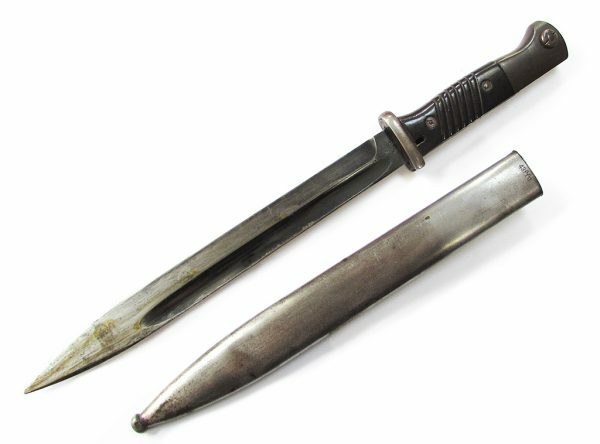 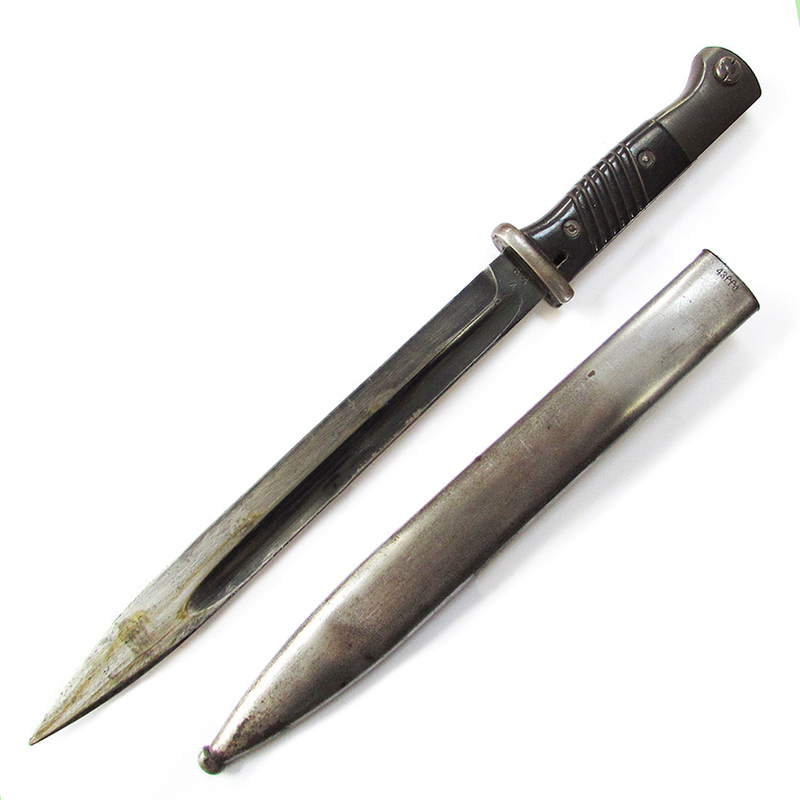 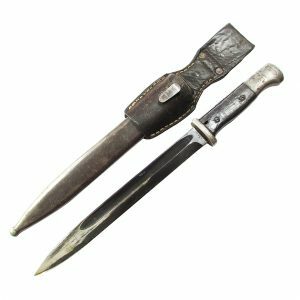 This is a rare very early G coded bayonet manufactured in 1935 by Hörster. 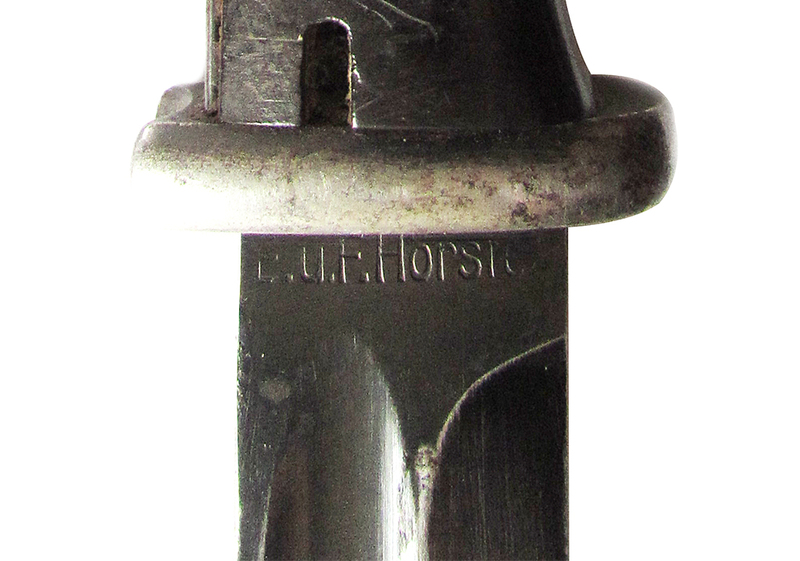 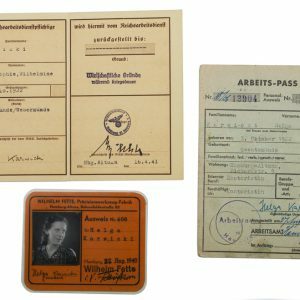 It is stamped S/155 which was the early code for Hörster, with the G code the secret code, representing 1935. 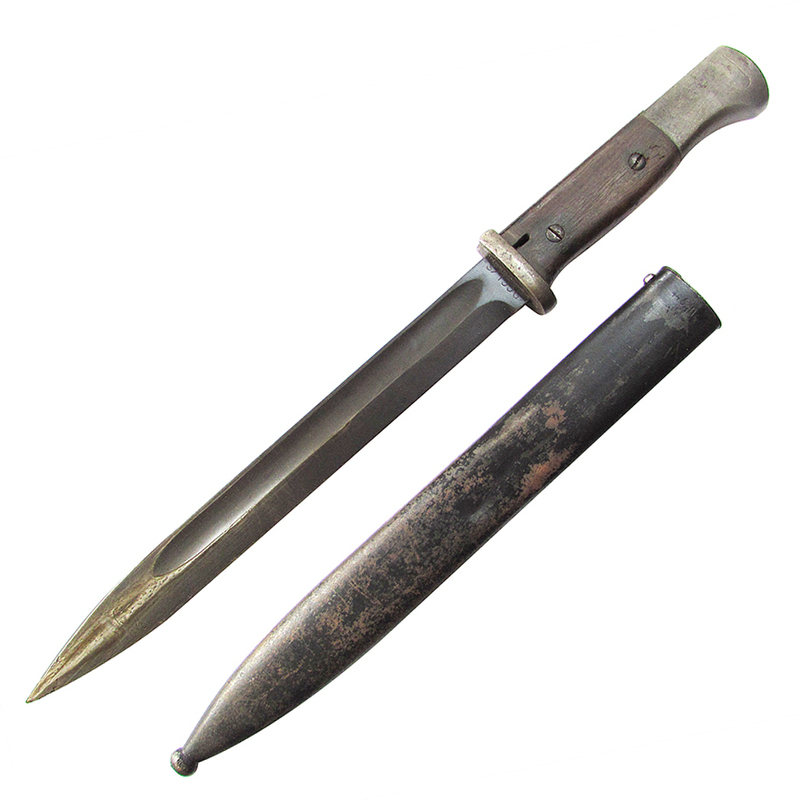 The bayonet is a fine early example, with a good pair of undamaged wooden handles. The steel blade is sharp with a fine original blue and clearly stamped. 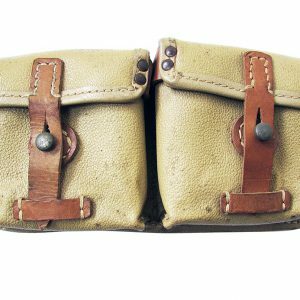 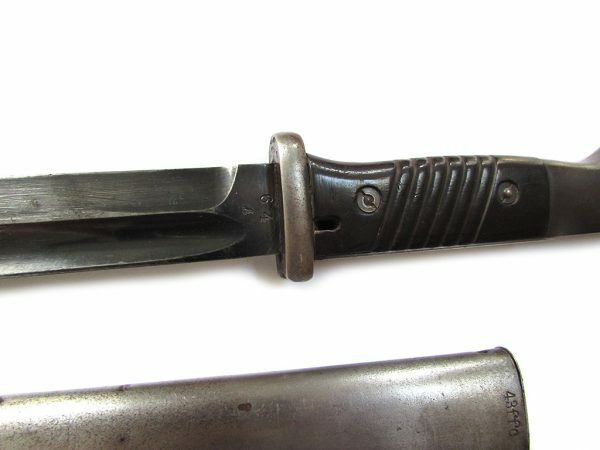 The scabbard is late war, 1944 dated example, which has been forced number matched to the bayonet. A rare early bayonet in good condition.